any thanks for visiting the official website of my new book, The Cigarette Century. I very much hope that this site will serve to generate a vigorous debate about issues concerning the history, culture, and politics of cigarette use in the United States and around the globe. 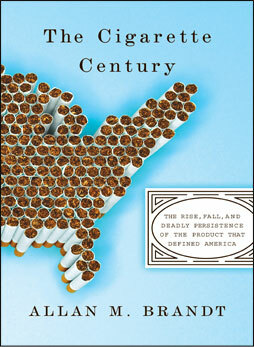 I wrote The Cigarette Century to trace the remarkable rise and dramatic decline of cigarette consumption in the United States. Once a popular and prominent behavior, smoking has, as we have seen, become a marginalized and often stigmatized practice. My book utilizes this history to explore fundamental questions about personal, social, and corporate responsibility. We now confront a worldwide pandemic of tobacco-related diseases as cigarette use has spread across the globe. It is my hope that The Cigarette Century provides a strong foundation for a critical discussion of new strategies to avert a potential global health disaster.